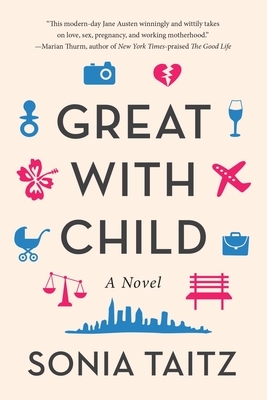 Great With Child tells the story of ambitious, driven Abigail Thomas. Up for partnership at a prestigious law firm, she is thrown by an accidental pregnancy that threatens to upend her life. Witty, warm, and wise, this novel confronts the true meanings of love, morality, and duty. Sonia Taitz is a playwright, essayist, and author of three novels and two works of non-fiction. An award-winning writer, her work has been praised by The New York Times Book Review, The Chicago Tribune, People, Vanity Fair, and many other publications.